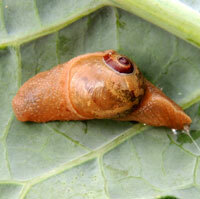 This terrestrial gastropod appears to be midway between snail and slug. About 20 mm. Herbivorous. 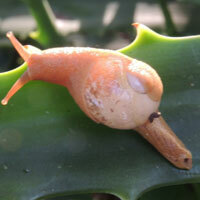 This terrestrial gastropod appears to be similar to the first snail. 20 mm.Found in Nairobi. 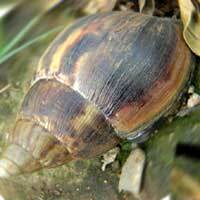 Large to very large land snails with golden and brown pattern on shell. 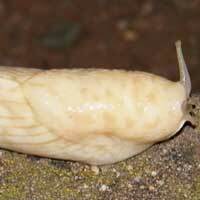 Large yellow or beige slug emerges on humid nights or during warm rains to feed on plant material. 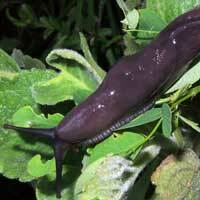 I wonder if these large land slugs exist in various color phases, or if there are separate species. 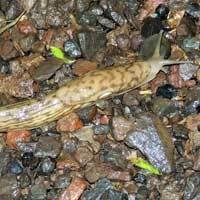 This boldly marked giant slug appears to be another species. Examination of an actual specimen is necessary. Cone-shaped sea shells with bright, contrasting marks. 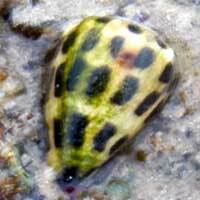 These are a warning that live snails are venomous. 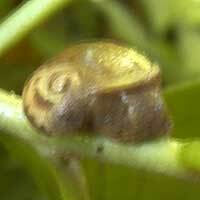 A medium-sized spiral land snail feeding on foliage during moist weather conditions.